The Big Book of Homeschool Ideas - Now Available! - The Kennedy Adventures! You are here: Home / The Homeschooling Life / The Big Book of Homeschool Ideas – Now Available! 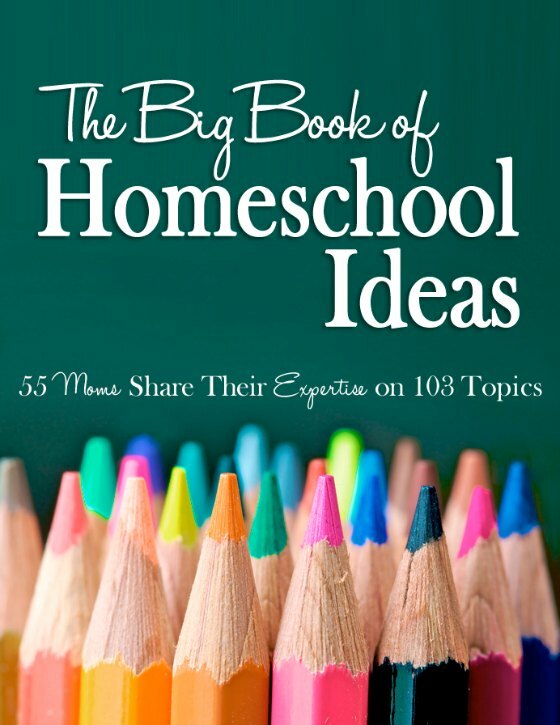 The Big Book of Homeschool Ideas – Now Available! When you make the decision to homeschool, it can be akin to opening Pandora’s box. How do I choose a homeschool curriculum? How would I be able to homeschool while pregnant? How in the world would I juggle toddlers and infants while teaching the older children? What makes me qualified to be a homeschool teacher? How would I be able to work and homeschool too? I have a child with special needs – can I homeschool him? How? I’m blessed to be a part of a online circle of experienced homschool mothers, with a wide range of homeschooling stories and experiences. These women have been an intregal part of our homeschooling lives with their wise words of advice. We came together to share our stories, to link arms, committed to encouraging YOU on this path. In one book, you’ll find 55 homeschooling mothers sharing their expertise on 103 topics. This book will take you from preschool all the way to high school, covering all points in between. We cover learning resources for every homeschooling family, from history all the way to home economics. Have a special situation? You’ll find ideas on homeschooling though a move, while managing a large family, while working at home and more. I’ll be exploring the chapters on music and art for preschoolers, homeschooling boys, managing extracurricular activities and more! You’ll be able to read the on your computer, smart phone, tablet, or even print it out to keep on your bookshelf. Carve out time in your day to mark your favorite chapters and make this homeschool year your best!